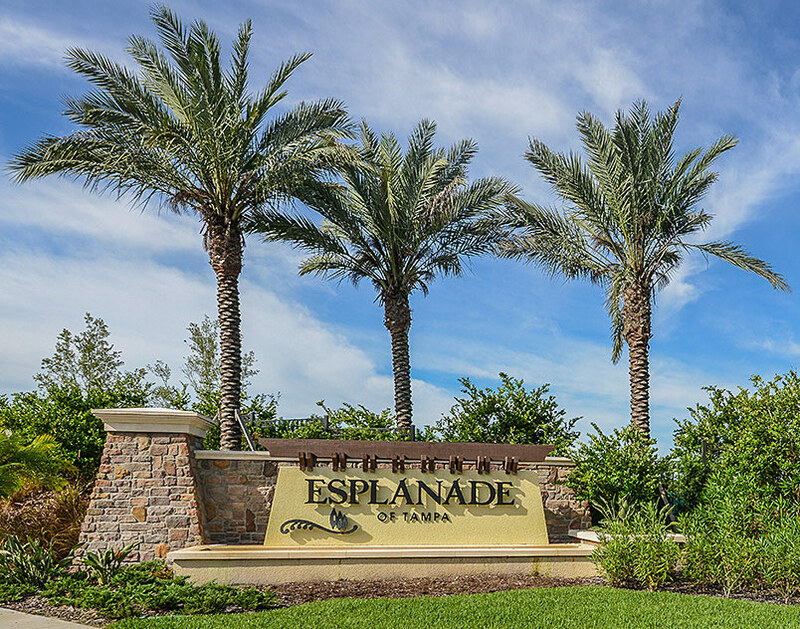 Esplanade of Tampa, located in highly desirable New Tampa, offers you a lifestyle filled with luxury, convenience and picturesque natural surroundings. Esplanade is also a secure, gated community so you can live peacefully knowing you are protected. Esplanade offers 300 beautifully designed single family homes, villas and home sites. You can choose from a variety of options including homes that overlook Esplande’s 45 acres of natural wetlands or 20 acres of unspoiled lakes. One of the highlights of Esplanade is its spectacular 5,000 square foot Amenity Center, which includes a heated lagoon-style pool with spa, a resistance pool, fitness and aerobics center, grand ballroom, multipurpose card/billiards/craft room, catering kitchen and library. 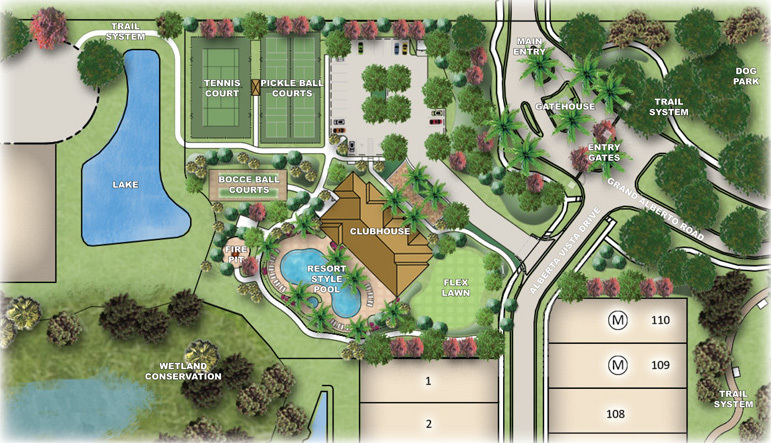 You’ll also find a spacious lawns, One is set aside for formal events and the other for fitness activities, such as Pickleball and Bocce. Plus, a full-time Lifestyle Director is on site to coordinate and organize social events and activities. You can also enjoy the outdoors as the community has a variety of nature trails and walking paths, a fire pit, a barbecue area and a dog park. Esplanade of Tampa is centrally located in New Tampa less than two miles from I-75. Residents have quick and easy access to medical facilities, major parks and the Wiregrass shopping and business district via Bruce B. Downs Boulevard and County Line Road. You’ll also find excellent neighborhood schools and even the University of South Florida nearby. Plus, you’re less than 20 miles from Downtown Tampa. Do you want to discover all that Esplanda has to offer? Call us today at 813-431-2840. We’ll help you find the perfect home in a community you love. We’ve sold over 4800 homes in the Tampa Area, and our experience, commitment, desire to exceed expectations, and best-in-class customer service guarantees your success.